As a retired Town Clerk/Town Manager and former business owner, Marie has brought her ability to provide exemplary customer service to each of our clients. She greets clients as they arrive for their appointments and makes each one feel welcome and comfortable. She keeps the office organized, prepares for daily client meetings and manages the office scheduling. 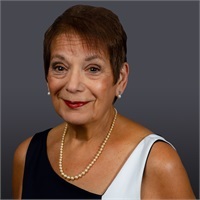 Marie holds an Associate’s Degree from Massachusetts Bay Community College and a Certification from Salve Regina University, International Institute of Municipal Clerks. She is an avid walker, baker and reader. Her most precious moments are spent with her two grandsons.